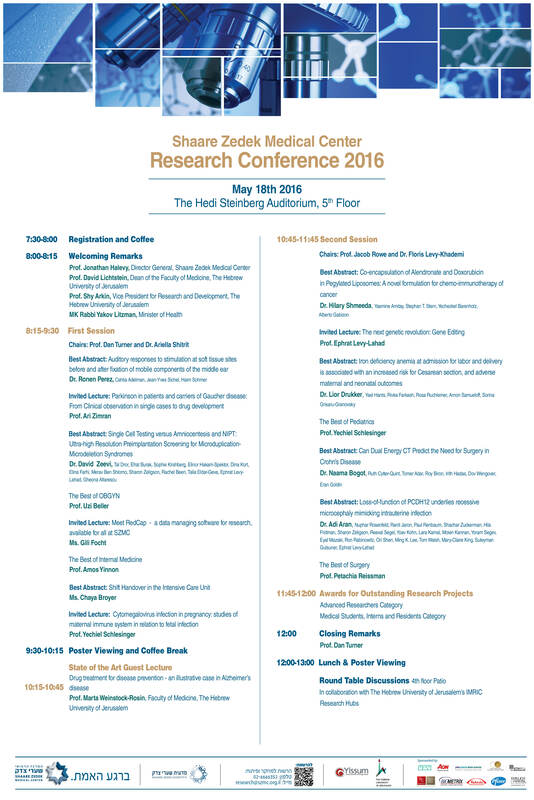 You are invited to Shaare Zedek Medical Center's Annual Research Conference: lectures and presentations from Shaare Zedek's top researchers, round table sessions with researchers from the Hebrew University's Faculty of Medicine and a keynote lecture from Israel Award Laureate for 2014 Pro. Marta Weinstock-Rosin. To participate, please register here (in Hebrew).